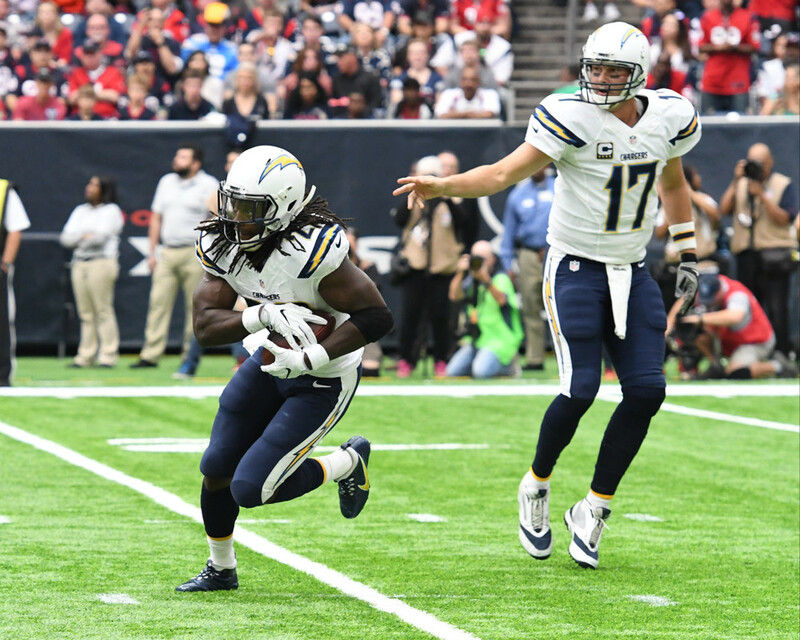 San Diego Chargers star running back Melvin Gordon was carted off the field with a hip injury during the game against the Carolina Panthers Sunday. Halfway through the first quarter, Gordon was hit in the back by Carolina linebacker Thomas Davis while attempting to recover a fumble by Phillip Rivers. Rookie linebacker Joey Bosa was taken out of the game as well after sacking Cam Newton with an apparent neck injury. Both players join a list of injured Bolts that includes Keenan Allen, Danny Woodhead and Jason Verrett, among others.